Do you have a reluctant reader at home? You might try suggesting some of Roland Smith's books. We were lucky enough to have him visit our library last summer, and I took the opportunity then to read some of his books. 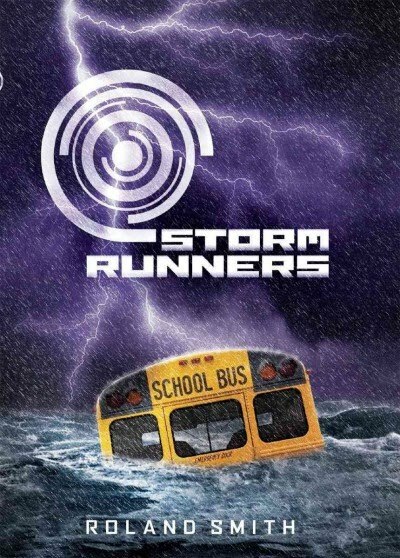 His stories are full of excitement and action, and his latest, Storm Runners, is not any different. Shortly after losing his mom to cancer, twelve-year-old Chase Masters' dad is struck by lightning. He becomes obsessed with weather, sells everything they own, uproots Chase, and begins chasing storms all over the country. This time, they are chasing Category 5 Hurricane Emily in Florida. This book is just the beginning of his harrowing adventure through Emily. A sequel is set to come out, and I believe it is going to be a trilogy. Mondays in May, kids ages 3-6 will sing songs, learn sign language, listen to stories and play signing games from 1:15-2 p.m. Local author and sign language educator Dawn Prochovnic will lead these interactive story times. 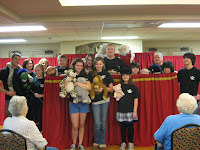 Each session will explore one concept, such as colors or animals, with a story and plenty of signing practice. Join us for a fun way to learn something new! 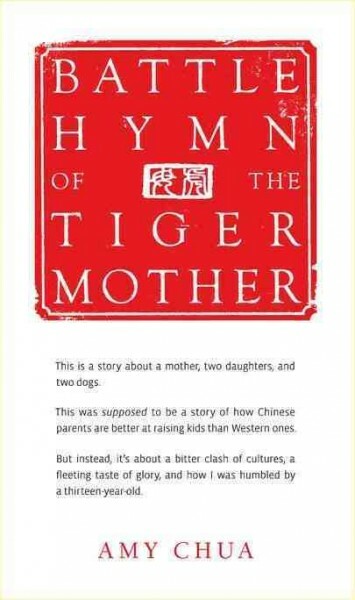 You may have heard about the controversy caused by the recently published Battle Hymn of the Tiger Mother, by Amy Chua. I had to see what the fuss was all about. I thought I might read a chapter or two and then get so upset that I would refuse to finish it. I have to admit, I actually liked the book and finished it within about 2 days! I can't say I agree with her parenting techniques (in fact I find some of them quite appalling), but the book itself was well-written, funny, and offered a view into a completely different way of parenting than I have ever considered. I expected Chua to be a know-it-all (well, I guess she kind of is) who was so entrenched in her way of thinking that I would just find the book infuriating. She actually is quite self-deprecating and is able to look at herself with a sense of humor. My guess is she probably wouldn't actually change much with the way she raised her girls if she had it to do all over again, but she was actually much more likeable than I expected. I would be curious to find out what and how her daughters are doing 10 years from now. In the meantime, her oldest daughter has started a blog. If you want a quick, entertaining read, I recommend this book. Over his storied (get it?) 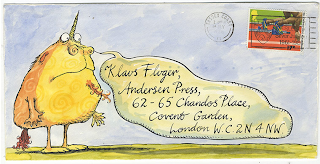 career as a children's book publisher, Klaus Flugge received hundreds of envelopes illustrated by authors. He's shared some of his favorites (like the one above) here. As I perused these in wonder and delight, I found myself pondering why someone would spend so much time customizing something as disposable as an envelope. Were these letters particularly important? 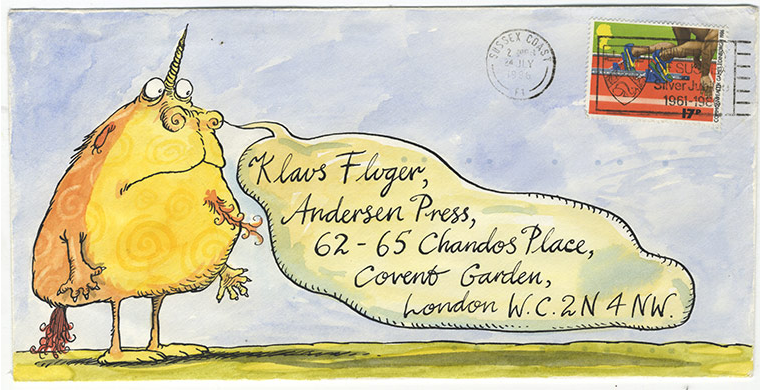 Did Klaus Flugge include a clause in his contracts that illustrators had to grace him with periodic free art? Then it occurred to me that there doesn't have to be a reason, the illustrators could have just felt like creating for the pure joy of art. Can you imagine the delight of the mail sorters and carriers? The secretaries? These envelopes must have passed through numerous hands before they reached Klaus and elicited all kinds of smiles. So, why not do the same when you send off a letter with your little ones. Even if they're not writing yet, have them decorate the envelopes. I'll bet the lucky recipients will treasure what was once mundane made beautiful! I am pleased to announce that the Juvenile CD-ROM collection has been substantially expanded! In fact, I need your help. I got a little overzealous in my ordering, and there are too many to fit on the shelves! So your job is to come in and check some out to make more room on the shelves. 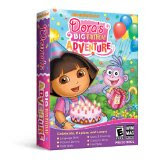 I ordered all available games from the Early Literacy Stations that so many of our kids love to play. I also ordered some items of interest to older kids. Think Harry Potter, LEGO, Star Wars, Scooby Doo. I can't wait to see these items fly off the shelves! A couple of years ago, I shared a post about a great picture book author, Todd Parr. So you can imagine my excitement that he is actually coming to OUR library! 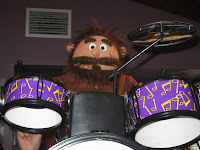 And this time he's here to entertain the kids instead of the grown-ups! He will be here Thursday, April 21 from 4 to 5 in the Community Room. Lucky me, I don't work Thursdays, so I get to come as a patron with my little one to enjoy Todd's visit! Plus, you can get a free copy of his book Reading Makes You Feel Good while supplies last. And Reading Makes You Feel Good is just one of many of his books. We would also like to invite you to share why Reading Makes YOU Feel Good. We are decorating the story time room with everybody's musings about why they like to read. Feel free to fill out one of the little forms we have waiting on the bulletin board in the story time room, give it to one of the children's librarians, and we'll find a place to hang it up! When I was a kid, my younger sister was a member of a juggling club. She and the other kids could juggle bean bags, balls, rings, bowling pins, and some of them even juggled fire! I'm about to show my age by disclosing this next little tidbit: the kids even got to go perform at Expo 86 when it was in Canada. I have always thought it was really great when kids get to develop a unique, fun skill such as that. So that's why I'm excited to tell you about Me & My Big Mouth Puppets. A puppeteer troupe made up of kids grades 6 and up from the Grace Point Community Church will be here to perform a puppet show for all ages. Join us in welcoming them tomorrow, Saturday, April 16 from 1:30 to 2:30 in the Community Room. A few months ago, an article in the New York Times declared the demise of the picture book (you can see our responses here and here). One school in California protested this with a month long celebration of the picture book. They also sent a 15-foot "letter" to the editor in response. Very cute! You may have noticed that story times feature a lot of songs, especially those for babies and toddlers. Do librarians just love singing? Yes, but we also love what singing does for a baby's brain. Singing engages the entire brain, involving hearing, vision, language and emotion. Unlike playing a CD, singing with your baby is interactive, reinforcing the idea that it's fun to socialize with others. Talking with your baby does the same thing. Give your baby a chance to talk and then respond. You'll see that they answer enthusiastically! This early singing and talking is the building blocks for language learning and reading later on. Baby Rosalie shows us how it's done. Kids will make their own fused glass creations, local artist Rae Campbell will take it home and fire it, and the kids can come back later to pick them up. I always find it interesting to read about people I have heard of and find out what their lives were like before and after they became famous. I recently finished Unbearable Lightness: A Story of Loss and Gain, a memoir by Portia deRossi (of Ally McBeal and Arrested Development fame) about her eating disorder, and I found it surprisingly good! Yes, I actually get a chance to read books written for adults, too! Now I'm on to Amelia Lost: The Life and Disappearance of Amelia Earhart, by Candace Fle ming. I just started it last night and I'm already about halfway through it. It is a quick, engaging read all about Amelia's life up until she disappeared. The author intersperses chapters about the day she disappeared with chapters about her life leading up to that day. There are also lots of insets with interesting little tidbits about things discussed in the main text (i.e., Morse code, how to fly the kind of plane Amelia flew, a picture of Amelia's pilot's license). 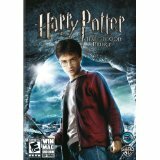 The reading level is probably about 3rd grade and up, but it will capture the interest of older kids as well.